On the territory of "Penzdizelmash ‘set a new high-tech enterprise. It is a factory for the production of multi-purpose diesel engines for rail, marine and stationary applications. This company — is a collaborative effort of ZAO "Transmashholding" (which includes "Penzdizelmash") and Wartsila Corporation. Companies formed a joint venture — the leaders in their industry. It will be located on an area of 25 thousand square meters. It is planned that a year will be produced 250-300 diesel engines for sale in Russia and abroad. Total investments amount to 50 million euros. Project leaders have promised to build housing in the winter and start adjusting, in June 2013 to produce the first diesel engines, and in 2017 — to reach full capacity. On Wednesday, August 15, in the territory of the future plant a ceremony laying the foundation stone. — Today is a real holiday — said Governor Vasily Bochkarev — begins construction of high-tech enterprises in partnership with the Finnish company. I have no doubt that this will be one of the most prominent industries in Russia. Deputy General Director of JSC "Transmashholding" Alexander Noskov appreciated and noted the warm climate of investment of the Penza region, which contributed to the early commencement of construction. — Agreement on the construction of the joint venture was signed in Laapeenrante in May 2010 in the presence of the Prime Ministers of Finland and Russia, and two years later we are already beginning to work — said Alexander Leonidovich. Penza region is interested in attracting investments. Drew attention to this project manager Henry Kinnunen. 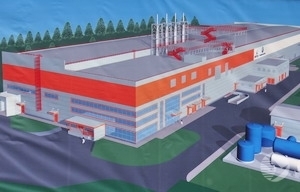 A CEO of a joint venture Zeljko Startsevich, which, as it turned out, already well-versed in local realities, said that the new plant will be the perfect gift for the anniversary of Penza. Construction of the new company promises considerable benefits to the region. Obviously, the diesel engines that are based on innovative technologies developed by Wartsila Corporation, will make a worthy competition of similar products in Russia and abroad. Another important factor is that the current production will be a place of work for the Penza 300 professionals in the first place — the young.